The ancient Romans toasted bread to preserve it, and the word "toast" is derived from the Latin word tostum, meaning "scorch" or "burn". 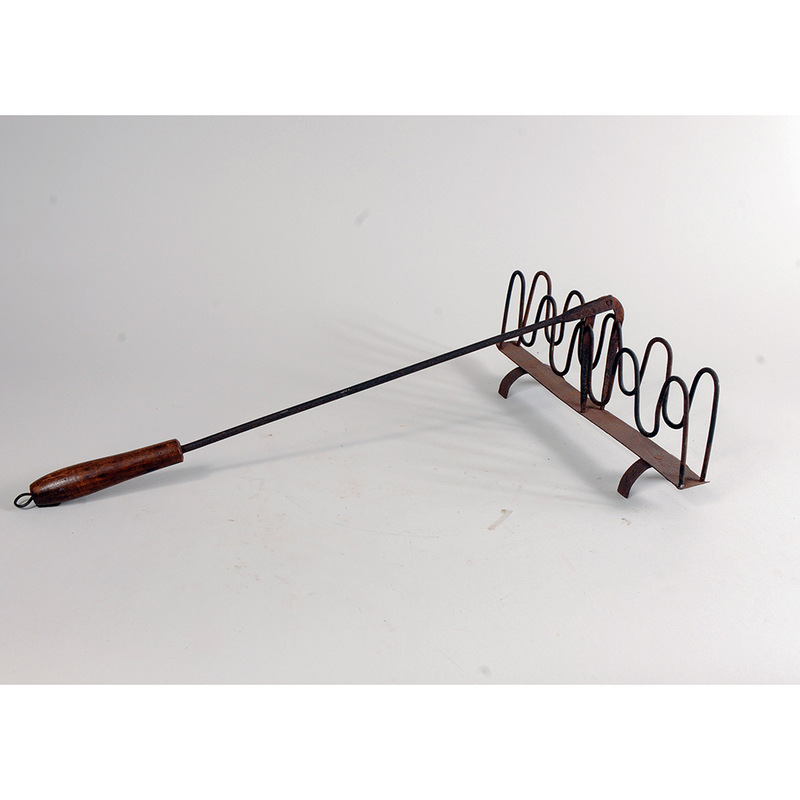 A great improvement over the bread fork, this type of toaster originated in Europe and was used at American hearths since Colonial times. The long-handled tool pivoted at its hinge, turning the wire frame bread holder to reverse the side of the bread facing the heat.